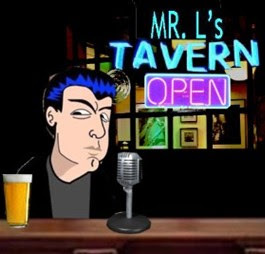 Mr.L's Tavern: Sarah Palin Is Right. How Far Does Obama Go Before He Is Impeached? Sarah Palin Is Right. How Far Does Obama Go Before He Is Impeached? Sarah Palin calls for the impeachment of Barack Obama and the predictable pearl necklace clutching ensues from many of the usual suspects in both the left and right media. Fact of the matter is, the truth hurts and Palin once again says what the left fears to hear and what the spineless republicans are afraid to say. Is it really that hard to believe the idea that Obama is ready for impeachment? What Sarah Palin said this week is no different than what a prominent prosecutor, Andrew C. McCarthy, has said and wrote about in a bestselling book, except it is Palin who is taking all the heat. Sarah Palin has been right in her previous predictions about Obama and his policies. Sarah Palin writes "how bad does it have to get before Obama is impeached?" If that moment arises where Obama does cross that line, will it be too late? And will you wish that you heeded the former Governor of Alaska's call? UPDATE: I believe Governor Sarah Palin has touched a nerve with her calls for impeachment of Obama. I knew the predictables in the media would come out and attack her, but never in my wildest dreams did I think that they would send out Eric "My People" Holder to make a comment about Palin. That's right, nothing says irrelevancy when they have one of the most important men in Washington, the head of the DOJ (who is crooked as a dog's hind leg), to trash a private citizen who speaks truth to their power and then has the nerve to cry racism. Holder claimed, "She's an even worse judge of who ought to be impeached and why." Perhaps he's right-- maybe it should be Holder himself who should be impeached first.